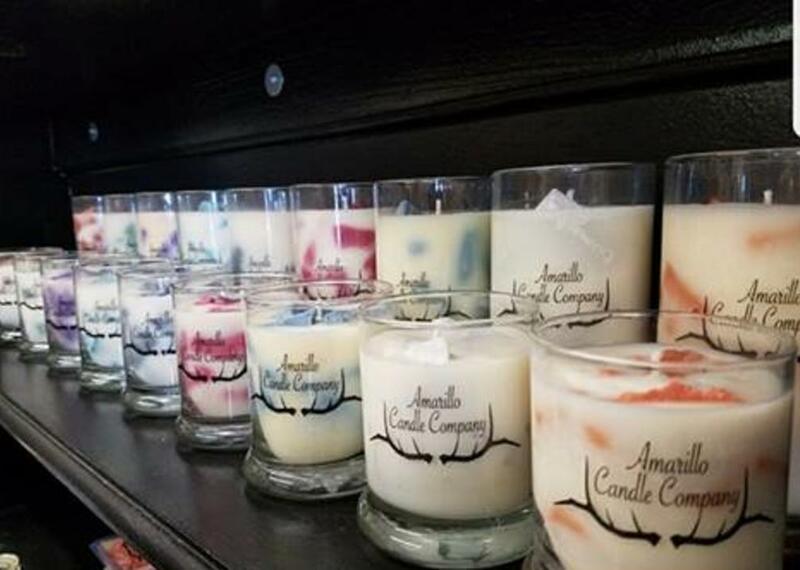 Here at Amarillo Candle Company, we strive to provide you with the best candles possible. Using only soy wax, our product burns slow which provides you with a long lasting candle. Very different from paraffin wax, soy wax is non-toxic, biodegradable and cleans up easy. Our candles will give a scent that lasts as long as the candle. We do not advertise "double" or "extra" scented candles. Wax will only hold so much scent. Through trial and error, we have perfected the ratio of scent:wax. We vow to give you a high quality product and friendly customer service. We also have a variety of products: candles, sprays, shirts, accessories, along with a huge bath and body section! Come see us!